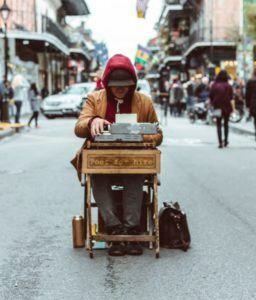 Creative writing is a skill, like any other form of writing, and has had a solidified place in the formal education world for decades, if not the last century. Some of us, more than others, are drawn to this form of writing, from the outset, and therefore chose to receive formal, college-level education to build a career down the road. If you do not fall into that category, or just always thought that your creative writing experience wasn’t up to par to be considered as more than a hobby, then online creative writing classes may be something you would want to look into. There are many different websites offering free and paid lessons and classes, each with their own faculty, curriculum, and array of learning modules. One of the sites, in particular, www.creativelive.com, will be described below regarding classes, fees, support, accessibility, and overall usefulness. 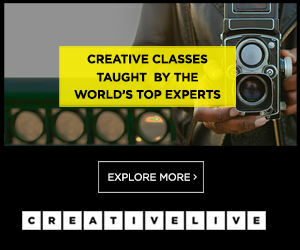 CreativeLive’s website offers a wide range of courses pertaining to all forms of art, from videography to crafts. As far as writing classes go, the website presents classes, which you pay for, and free, time-based lessons to further educate you based on the style of writing chosen. From the home page, you can search for online creative writing classes and will be taken directly to a list of the current classes being offered. Each class has a price listed, all of which are discounted (with some even being free), as well as a description of both the class and instructor. Some of the most popular classes include, “Writing your own story,” “How to Write a Personal Essay”, “How to Write a Full-Length Memoir,” and “How to Write and Publish an E-book.” If you scroll down the page containing the creative writing classes, you will also find the “Lessons” section. This area contains smaller, more specified lessons, some of which can be contained within many of the complete, paid classes. These lessons range from “communicating without words” and “Writing close to the truth” and even get into practice writing exercises with instructor feedback being provided. You are given approximate times the lessons will take to complete as well as which instructor is overseeing them, to maximize your schedule. At any given time, there are 5-10 creative writing classes being offered through the CreativeLive platform, with dozens of lessons as well. With any learning platform, this site offers introductory to upper level, in-depth classes, designed to bring your love of creative writing to life, driving you to learn more and focus your efforts with each class completed. This website marketplace also offers a companion mobile application, for use on all mobile devices, allowing you to learn on the go; complying with the fast-paced, internet-based attributes of our society. 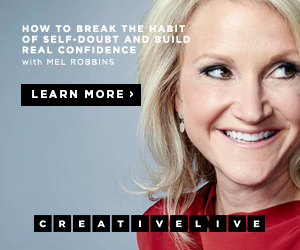 Signing up for a membership to CreativeLive is free and open to everyone. To boost the sale of online creative writing classes, on this website, in particular, it offers a sale on all classes; up to 35% off. The price range isn’t too great, even without the site-wide sales, as the cost per class starts around $50 and can go as high as $200. Obviously, introductory classes are the least expensive with class prices increasing with the amount of detailed information being taught, as cursory skills will be transformed into expert level ones, with the completion of the more in-depth classes. If you have a very particular piece you need to learn how to write, then paying for the most similar class is a no-brainer. And, if that is followed by signing up for free lessons, to round out your overall knowledge, then you can tailor your learning at the lowest cost. For example, if you paid for the course on “How to write your story”, then wanted to publish it as an E-book, there may be a free lesson, which was plucked from the paid class, to give you an overview of that process which may be enough to get you through without having to pay for a second class. Instructors can add or change their online creative writing classes, based on several factors: student requests/feedback, progression of a larger writing theme, creation of a class based on what the instructor recently mastered and, now, wants to add to the personal curriculum. Also, the website rotates their instructors offering classes, to give learners an all-encompassing look at every facet of writing, by way of an expert instructor in the field/niche. As CreativeLive is a learning marketplace, not affiliated with any college or university, it has the ability to charge much less per class than one that results in credits being earned. This type of self-driven learning, along with the free-form structure, allows for students to customize their learning to only focus on what they want to learn, at that given time. Therefore, your time and money aren’t being wasted. However, due to the lack of accredited affiliations, most online learning marketplaces don’t offer grants or any kind of financial aid. 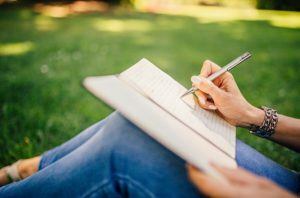 You may choose, after taking some of the creative writing classes offered through a marketplace, to elect a similar, collegiate degree program, the knowledge gained by learning on your own will give you a big leg up compared to your classmates. All online creative writing classes provide a rating pertaining to the information being taught, and instructor, to help choose which classes would be most beneficial to you, and when to sign up for them. The CreativeLive website has an extensive community platform, comprised of forums, success stories, a blog and many other ways for students to assist other students. This cross-specialty assistance helps first-time students grasp what can be done, with effort, by way of more experienced learners relaying insights; thereby instilling the confidence that they can do succeed also. With the more experienced students translating and distilling the essence of a topic into a more easily understood context, they themselves are strengthening their learning as they are now able to effectively pass it on to others. Instructors and prior students also relay information through video interviews so as to spark your interest and drive your learning in ways you never thought of before. 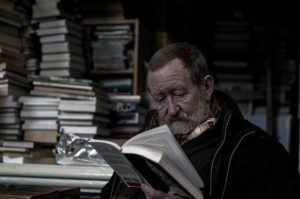 Putting all of what you’ve learned, through whichever online creative writing classes, into the framework of a particular career path, can be overwhelming in and of itself. CreativeLive knows that a career is the goal of the majority of their students, and strives to help you locate, and start, one for which you are best suited. Companion classes are offered and include: entrepreneurship, marketing, and web design to solidify you standing in the art of your choice. By giving you the power to choose your classes, the instruction and guidance to walk your path, through multiple avenues, the chances of landing the career of your dreams is high. As with any online learning marketplace platform, you will get only what you put into it, as they are self-driven, work-on-your-own-time arenas. Fortunately, once you break the surface of the CreativeLive website, and others like it, you are not only flooded with options but support from instructors, as well as, previous and/or current students. The effectiveness of a community-based learning platform is exponential and widespread. Being able to speak with an instructor, in real-time, results in rapid responses and answers, allowing you to be the most efficient learner. Even more so, to discuss, with other students, the details of how they overcame the same obstacle you are currently facing, and the subsequent steps to reach the next plateau, can be extremely eye-opening and uplifting. Furthermore, being supported and held-up by your classmates, regarding your creative writing works, can provide much-needed satisfaction, as well as approval; that you are retaining what you have learned and able to translate it to the page. We all need a boost, from time to time, to keep us focused and on track especially when it comes to educating yourself with plans to change careers. The above-discussed website, and many similar ones, are offering classes and support features which will remove some of the stressors involved with this self-driven venture. Depending on the time, money and personal willpower, you can simply stick your big toe in the water, to test it out, or dive in with both feet. When using this type of online learning resource, you are always in the driver’s seat because, let’s face it, the learning is primarily for you as you determine when, what and how you do so. Creative writing, for you, can remain whatever it is, today, or it can be transformed into something more than a hobby or pastime. Using www.creativelive.com as a means of bringing about that transformation is one of the best options, due to the fact that your learning is only self-limited, and comes with various support foundations to maximize your experience and, further down the road, your life.